We’d be honored to have you join us! We’re so glad you stopped by WINTERPARKEASTER.COM! The information below is to help you connect to our Easter week services as well as provide you with resources for you to invite someone to join you. 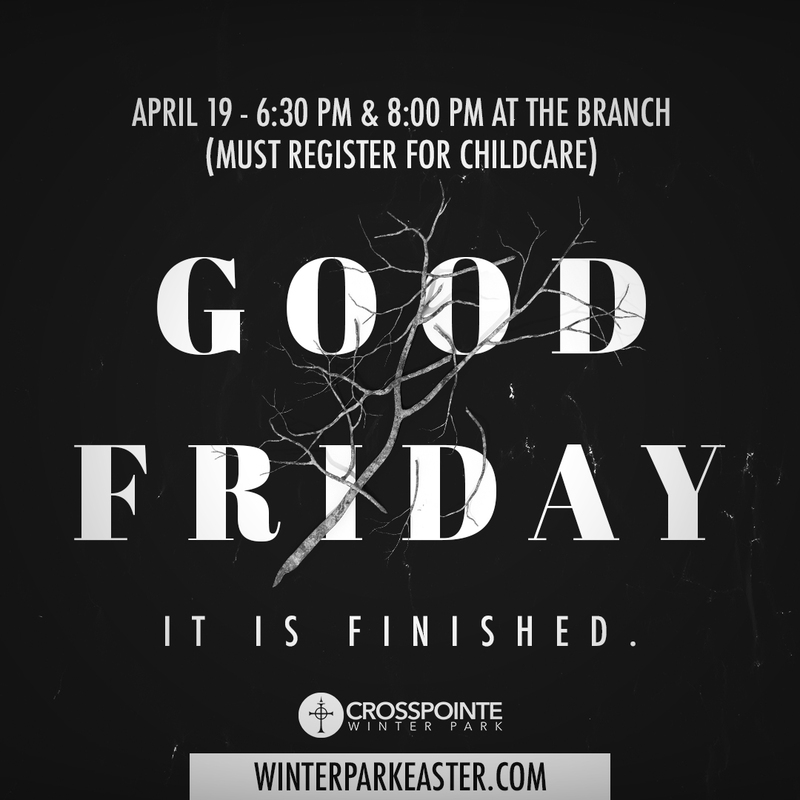 Join us for one of our Good Friday Services - 6:30 pm or 8:00 pm. Click the button to learn more and sign up for childcare. 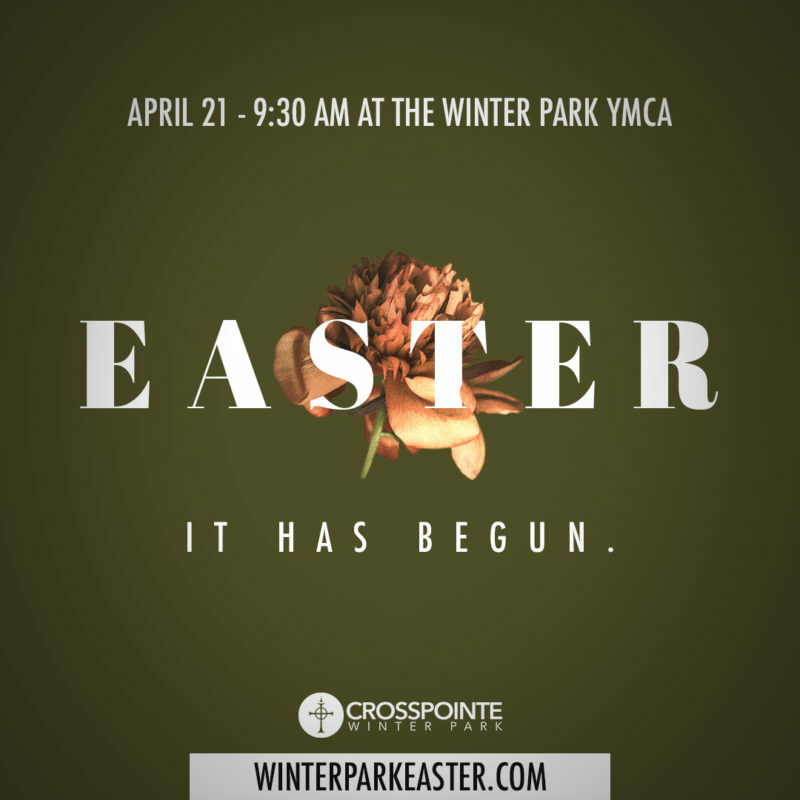 We’d be honored to have you join us for our Easter celebration service on Sunday, April 21 – 9:30am at the Winter Park YMCA. Before the service we will be serving some great food and locally roasted coffee. We will also have a free photobooth so you can get a picture with your family and friends (photobooth will also be available after the service). At 9:30 am the Easter Celebration Service will begin. This will be a powerful time of worship through song, preaching, and communion. During the service we offer our CP KIDS program for infants – 5th graders. They will love it! We will conclude our time together by celebrating baptisms! Want to get Baptized on Easter?